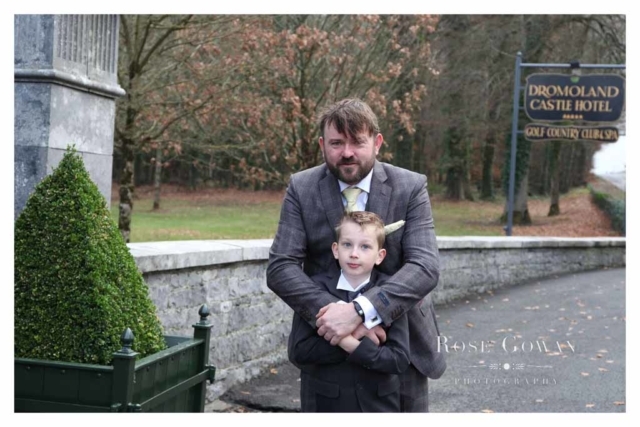 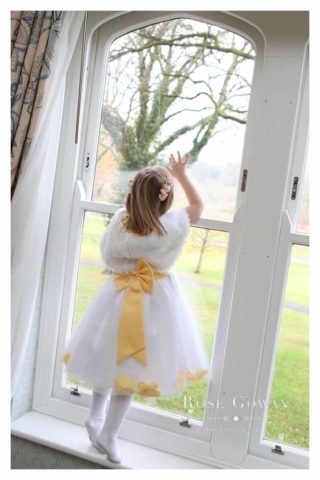 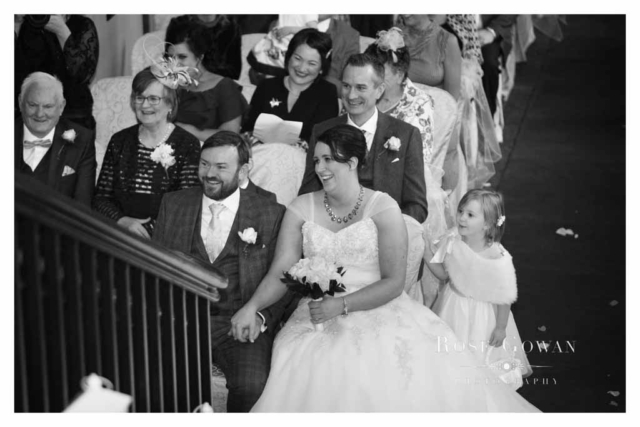 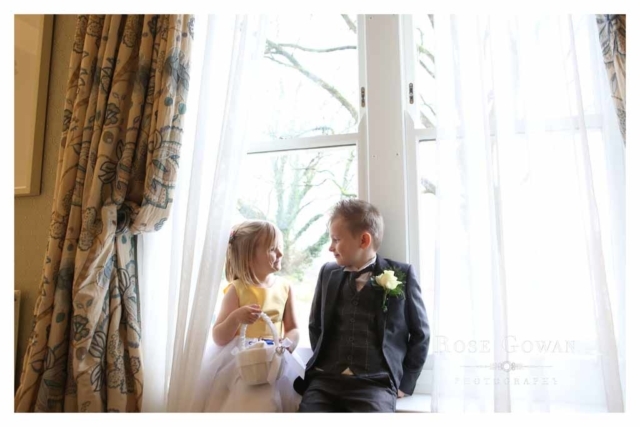 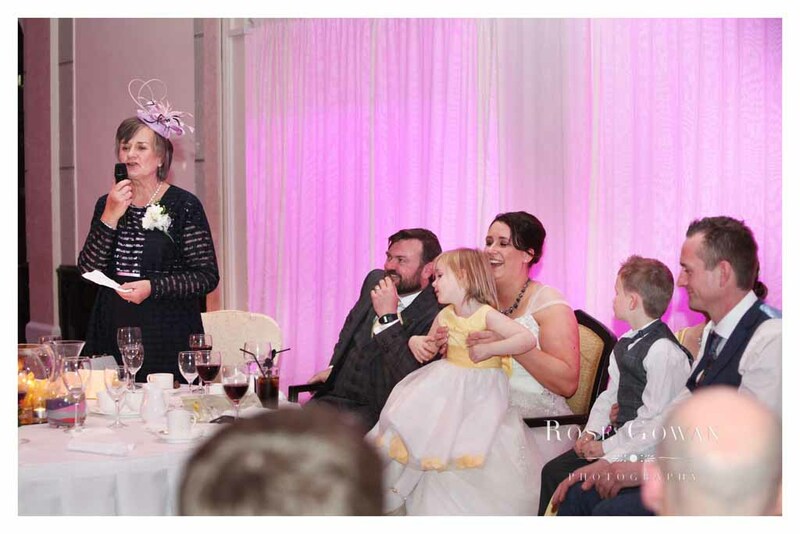 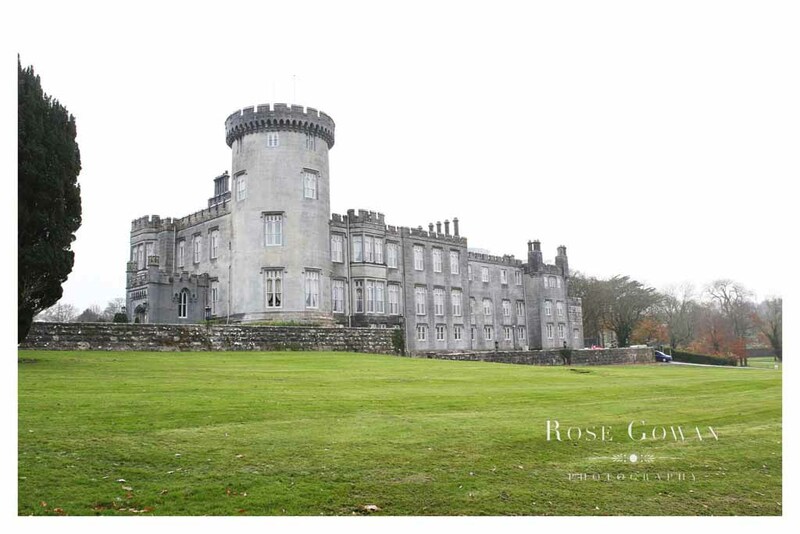 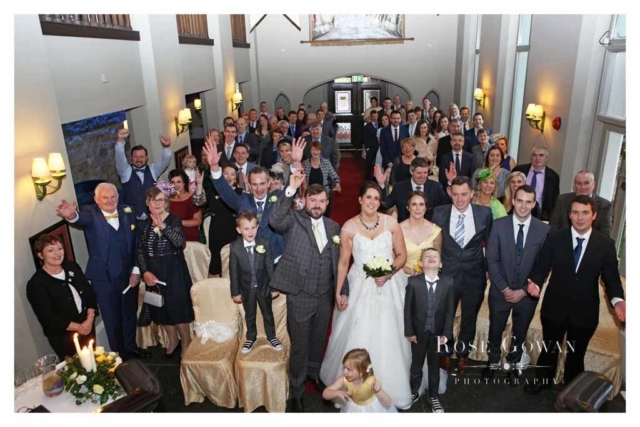 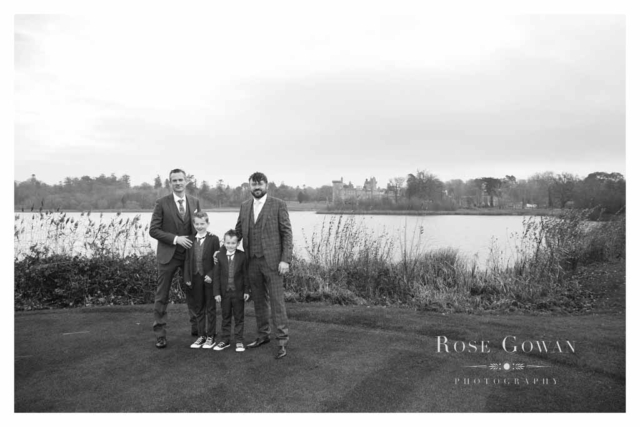 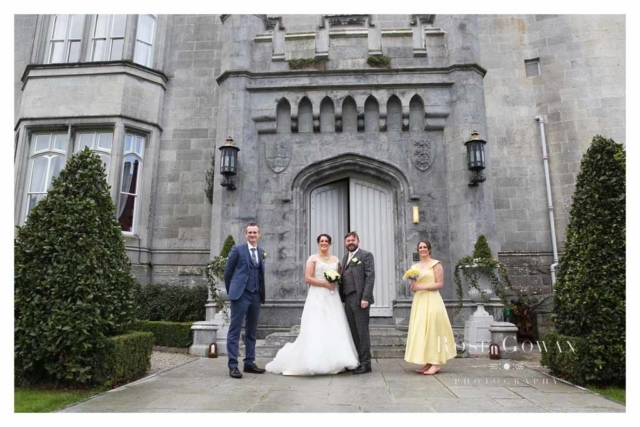 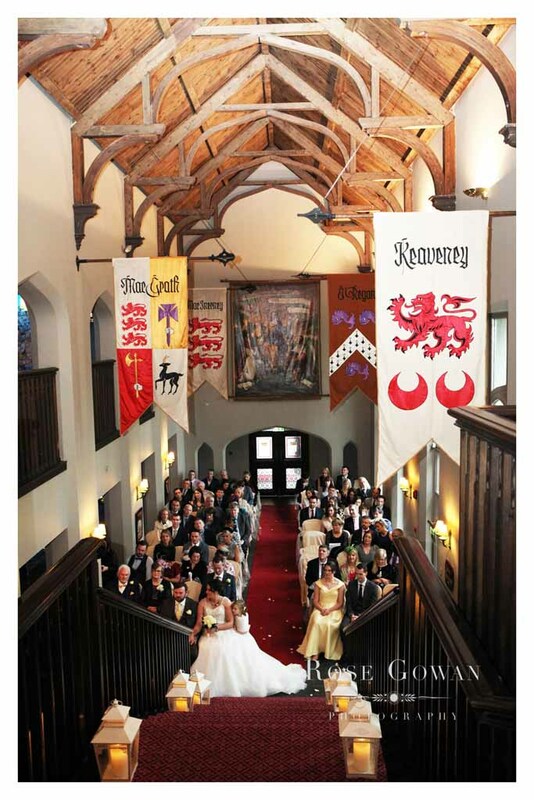 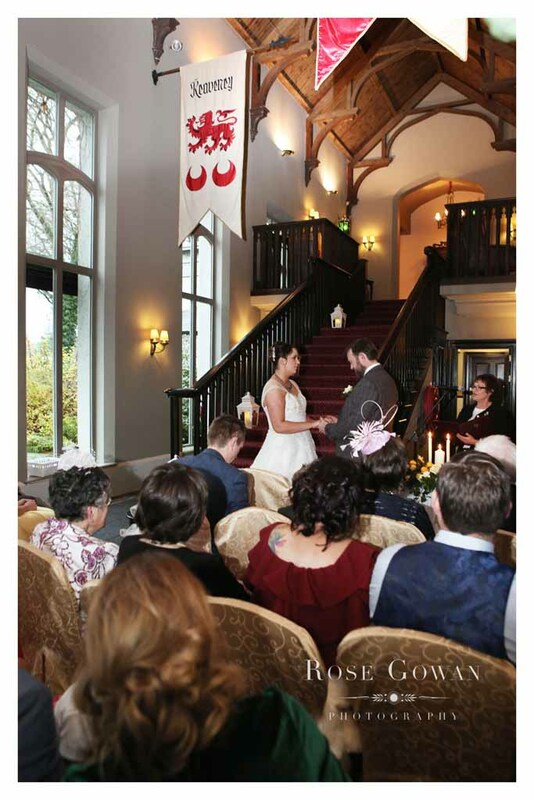 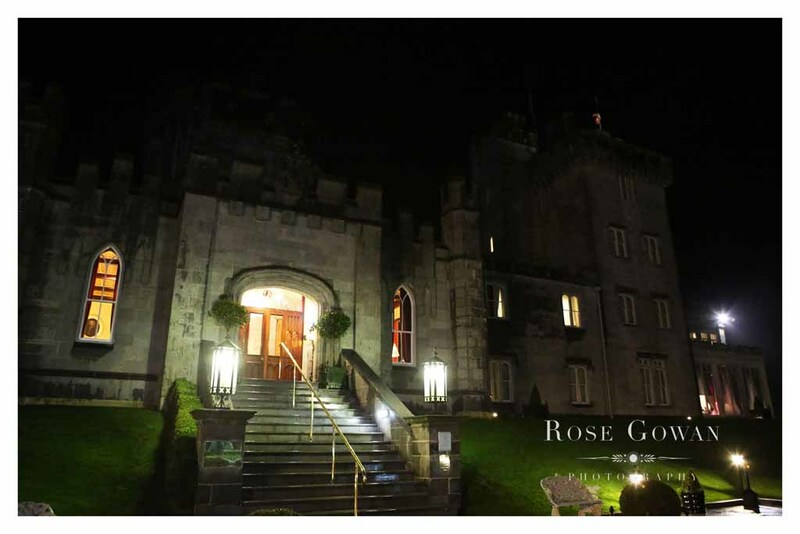 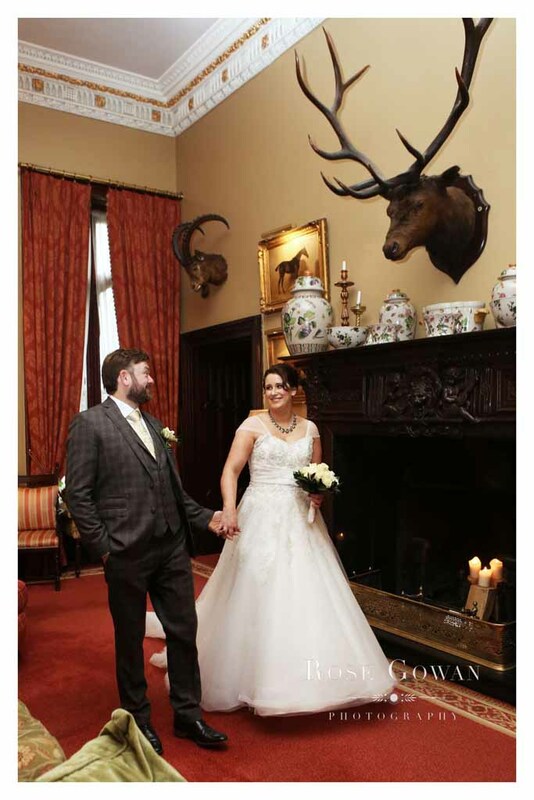 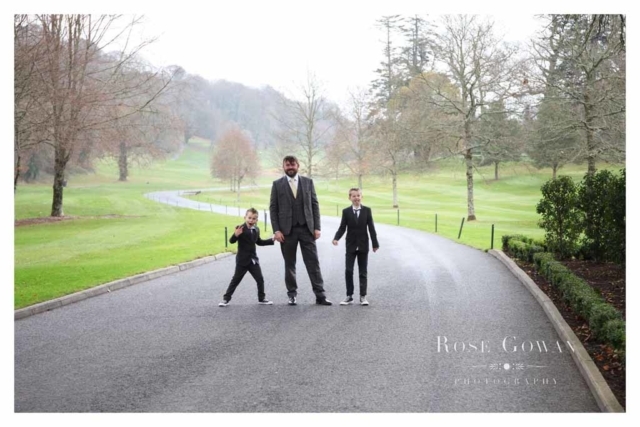 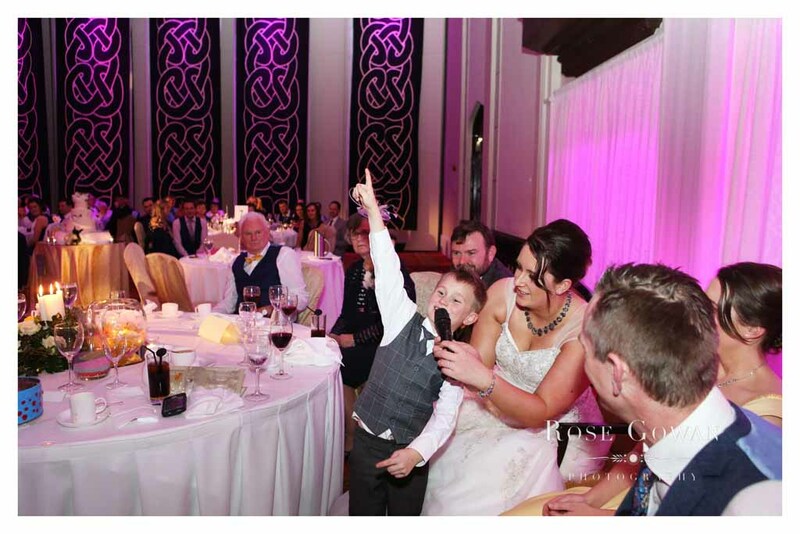 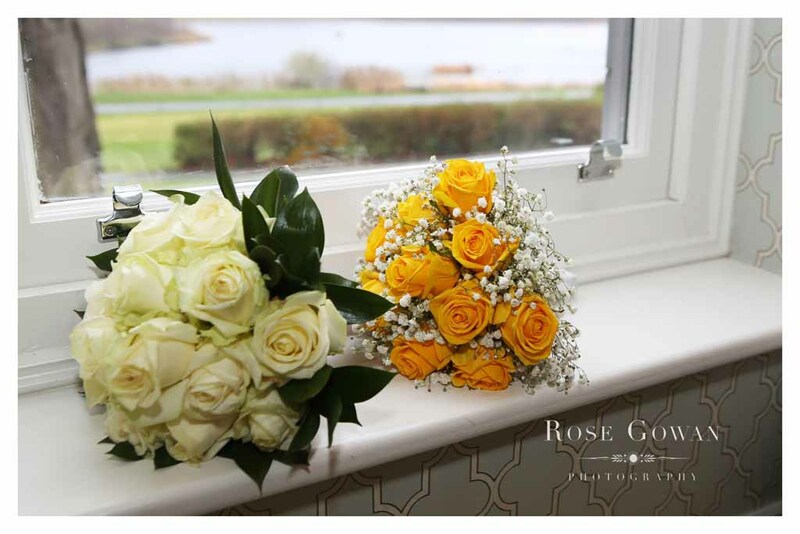 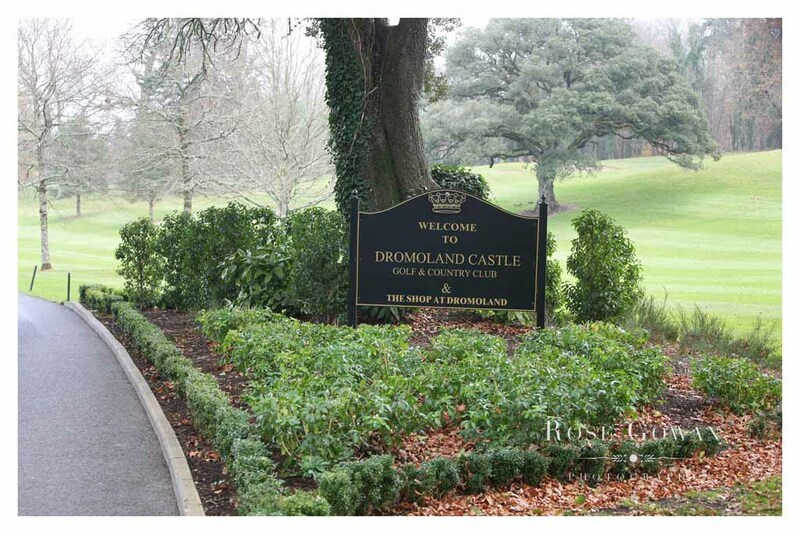 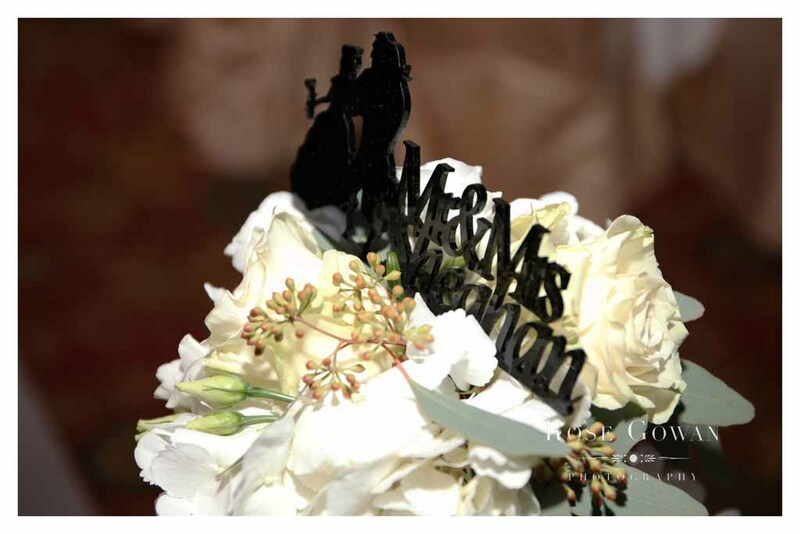 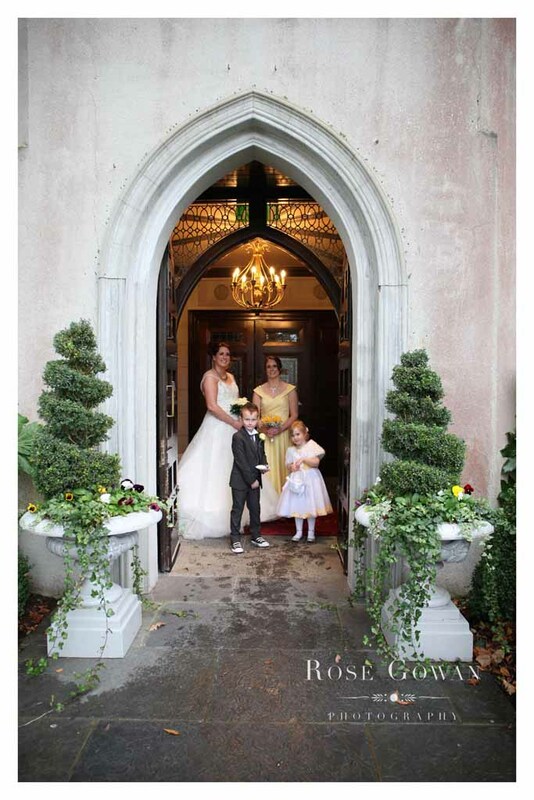 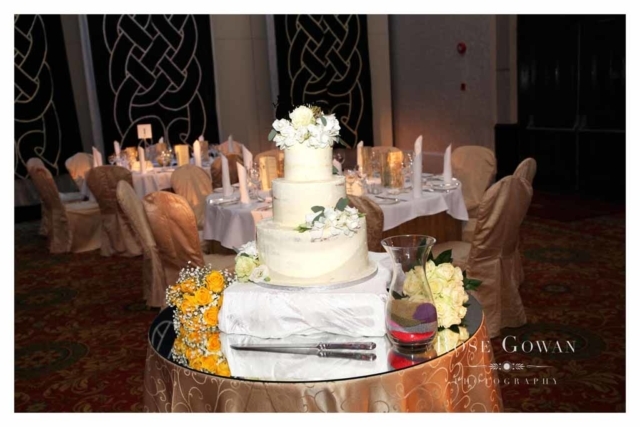 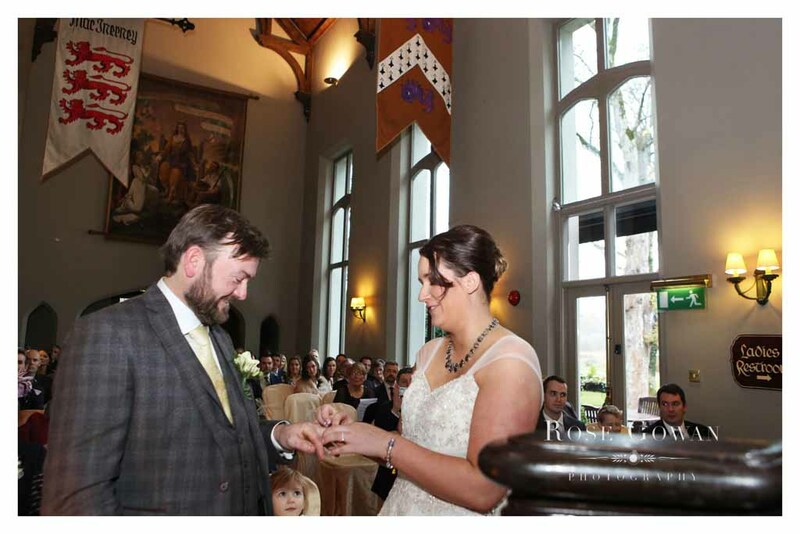 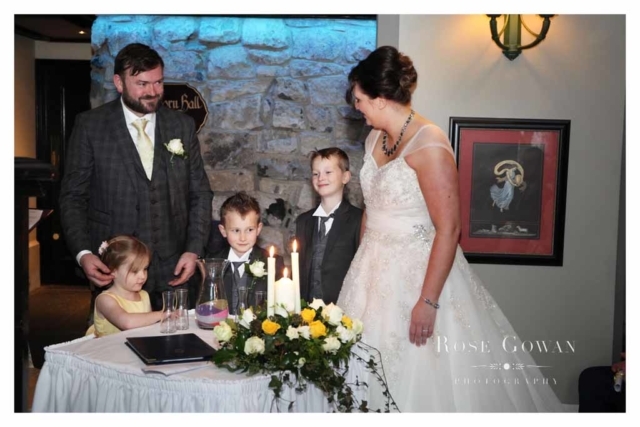 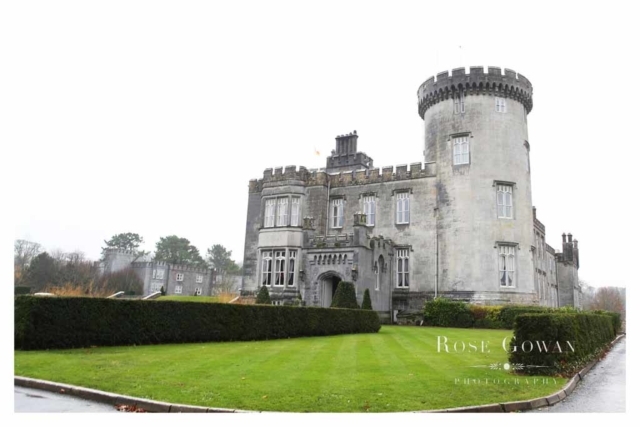 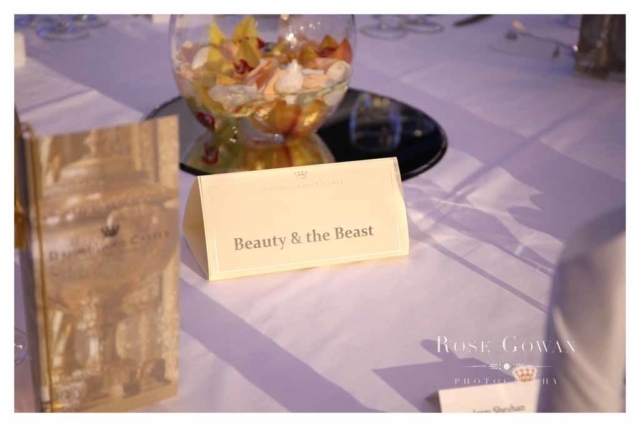 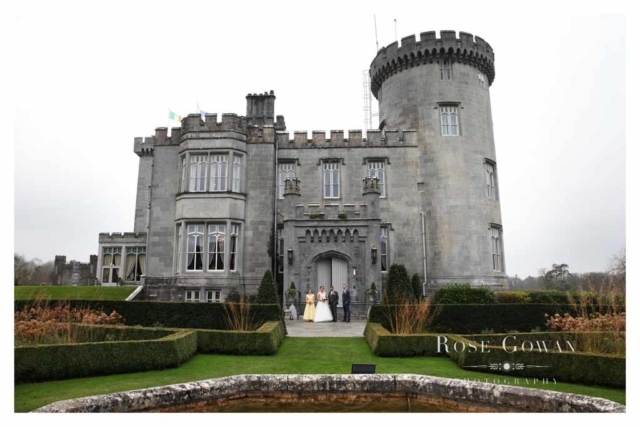 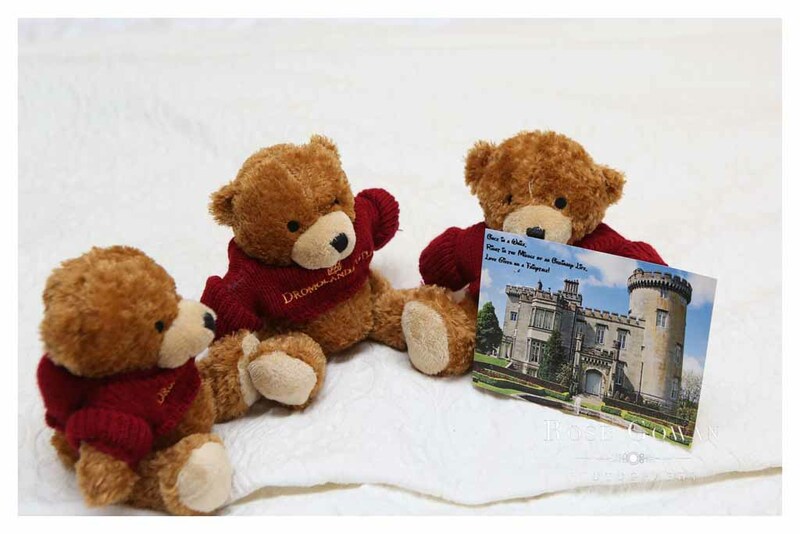 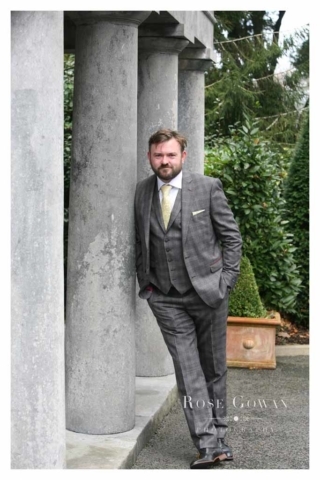 Long long ago (well actually November), in a magical land far far away (well not that far – Dromoland Castle) our farm tale\fairy tale wedding took place. 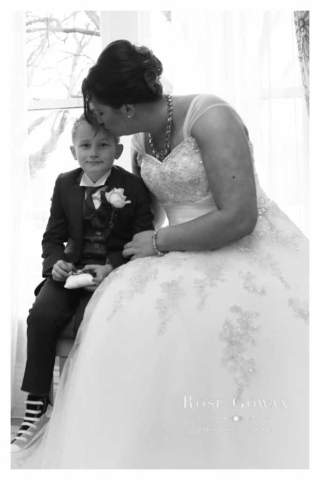 Featuring the dashing Prince Charming Conor and his very own Princess Lavinia. 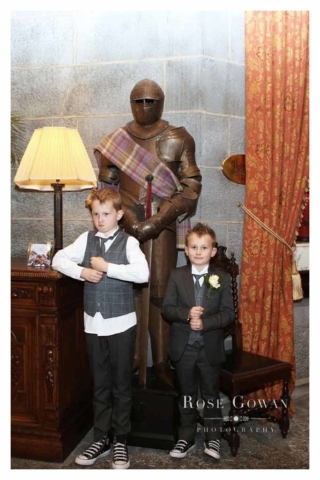 This fairy tale began years before and they had magicked up their own bridal party of their own two little knights and their own little princess. 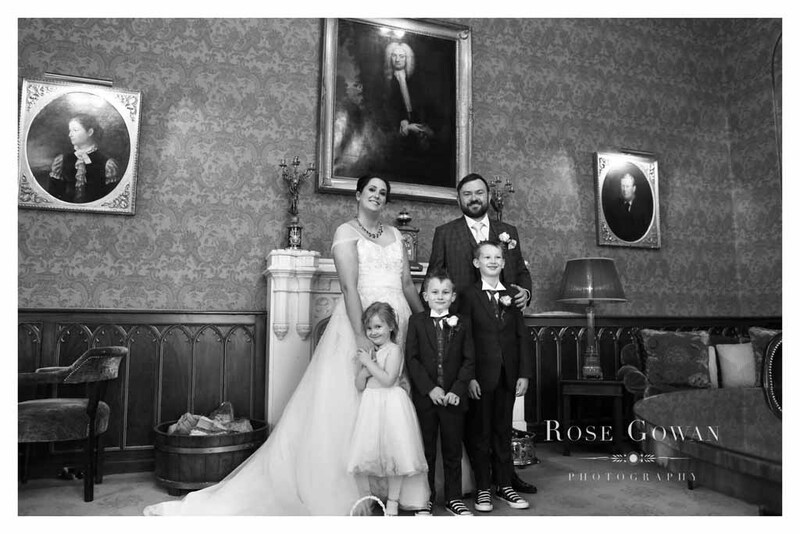 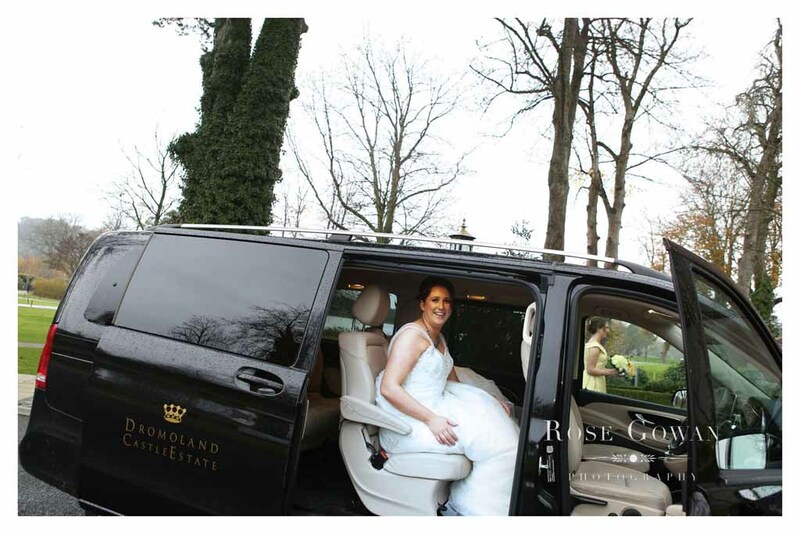 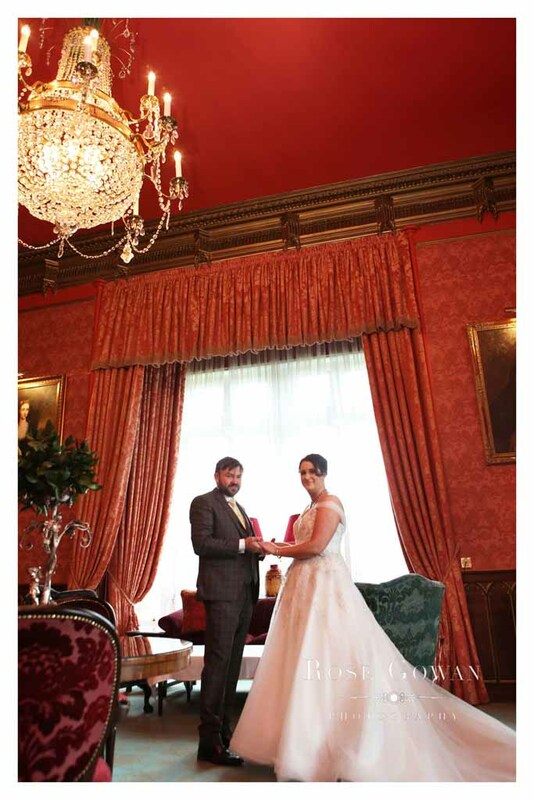 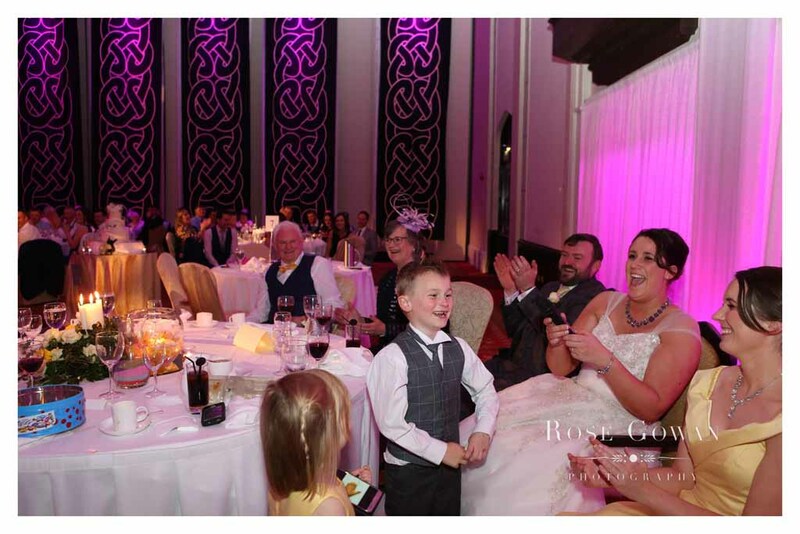 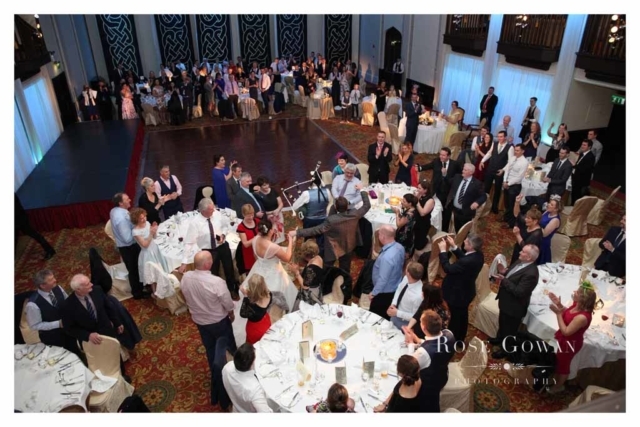 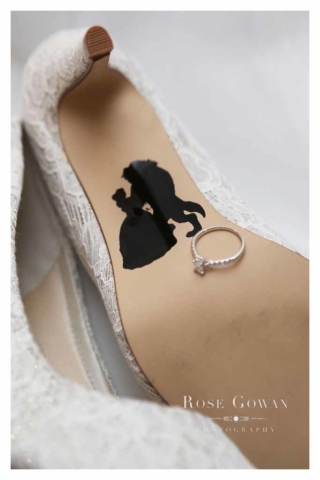 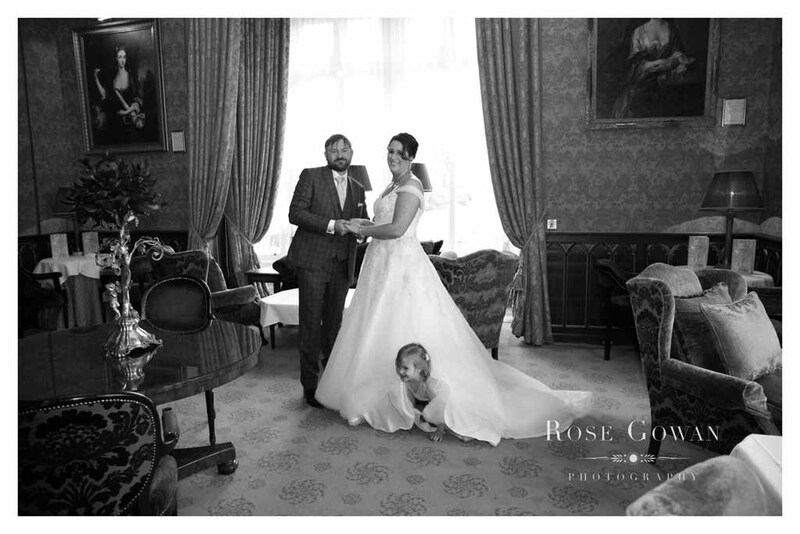 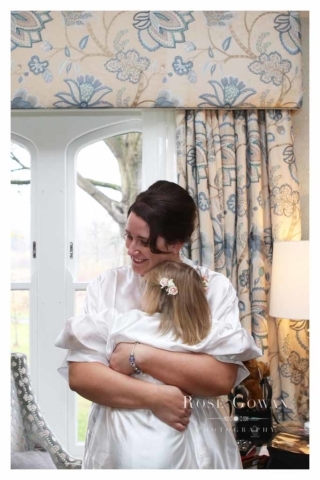 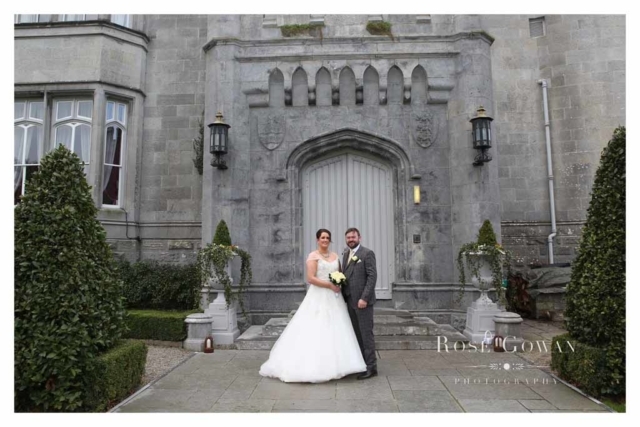 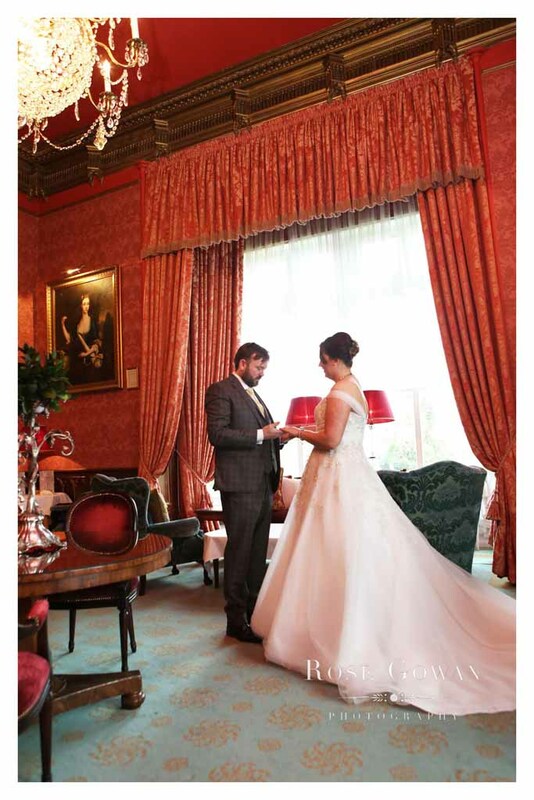 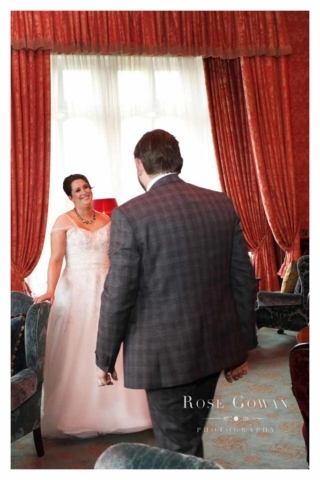 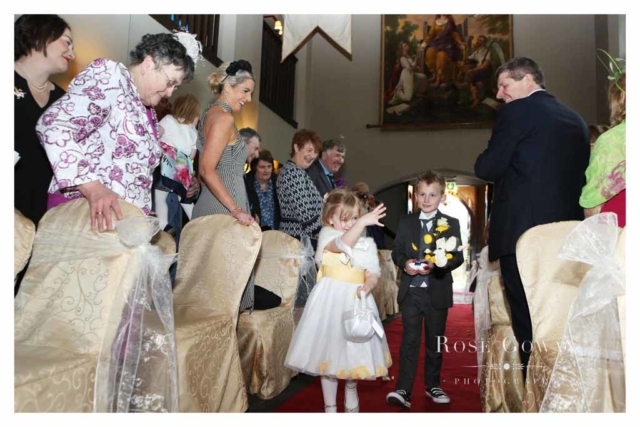 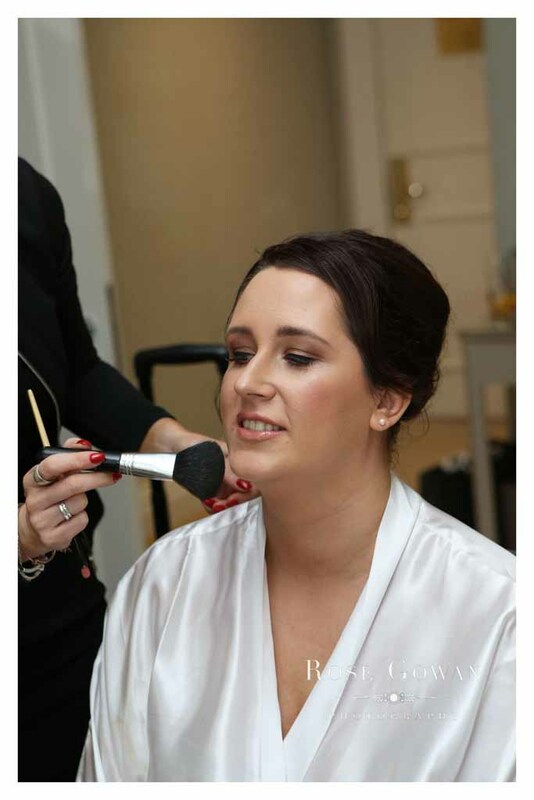 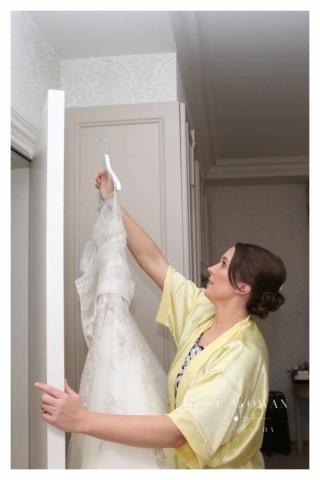 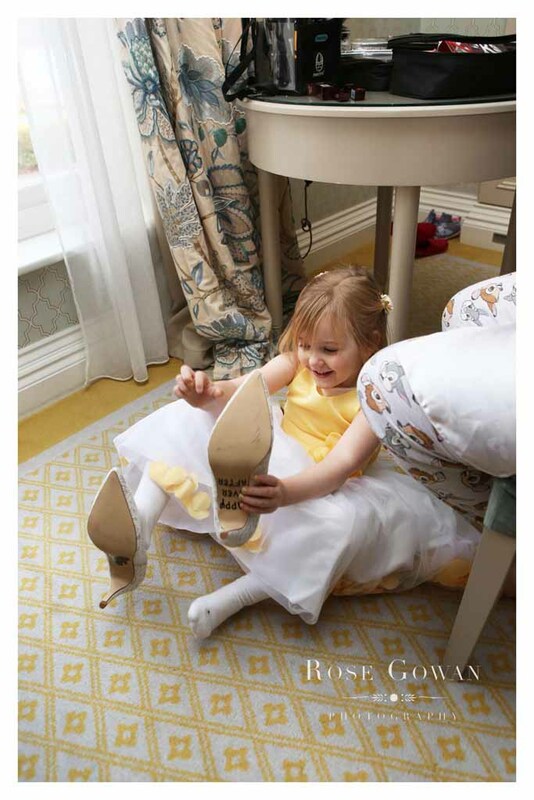 So when our Disney loving Beauty went down the aisle to meet her…, the beautiful surroundings of Dromoland Castle was the perfect enchanting backdrop. One of the challenges for winter wedding photography can be getting daylight photos. 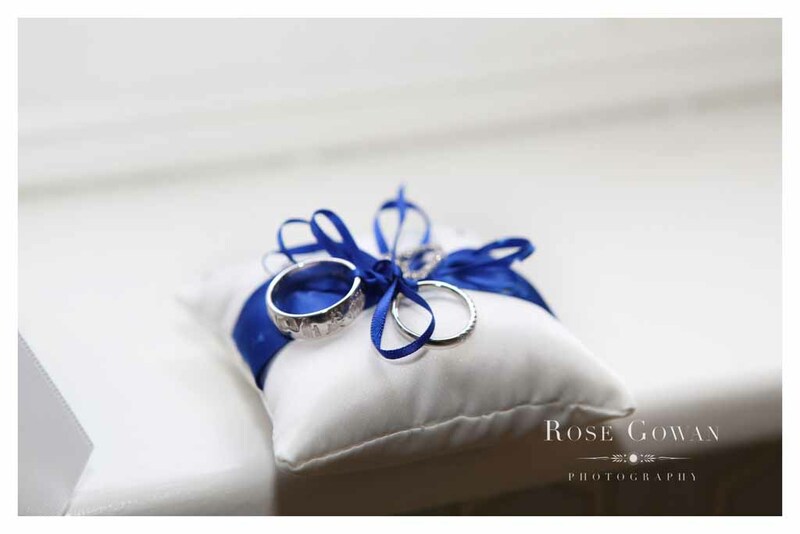 A first look, before the ceremony is fantastic for this helping to capture as much of that winter magic as possible. 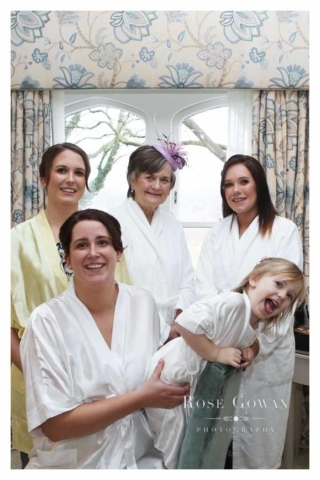 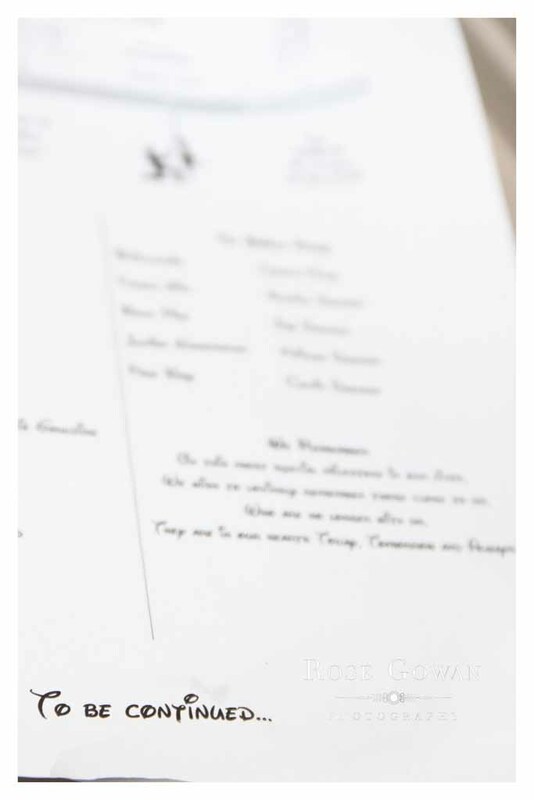 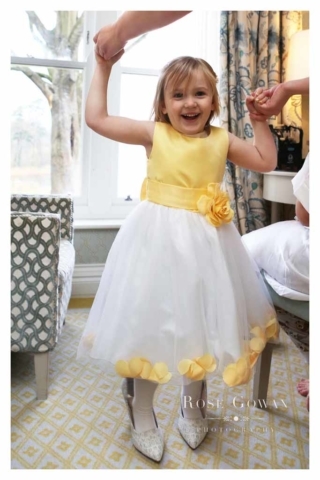 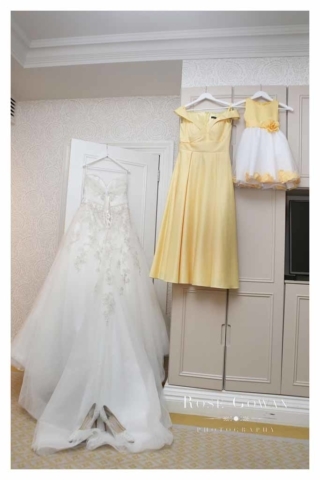 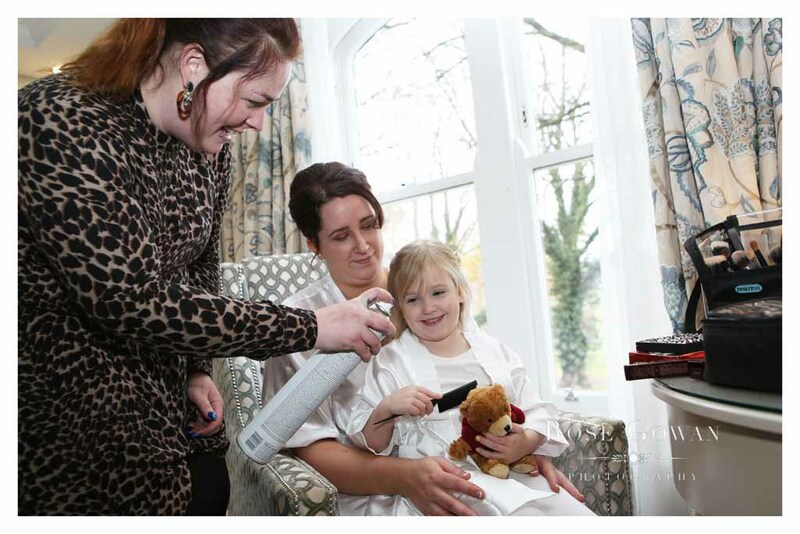 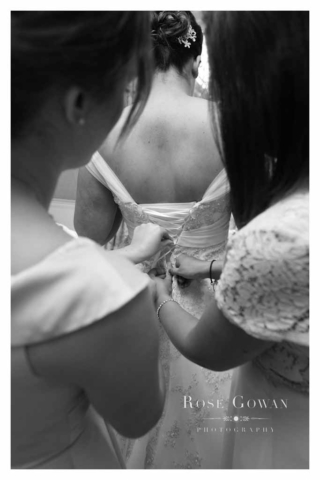 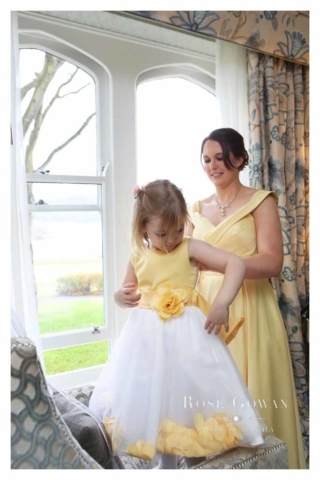 So conjuring up pictures before the ceremony is a great idea. The castle was the perfect destination, with tons of great photo opportunities everywhere. 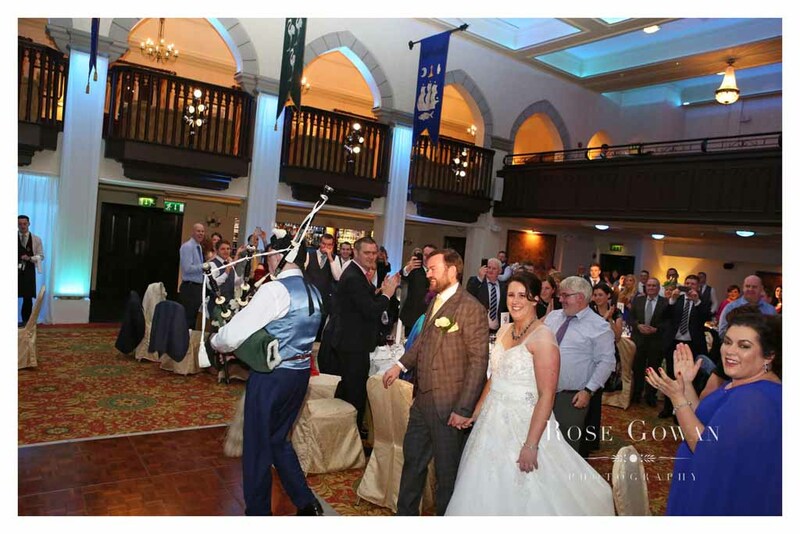 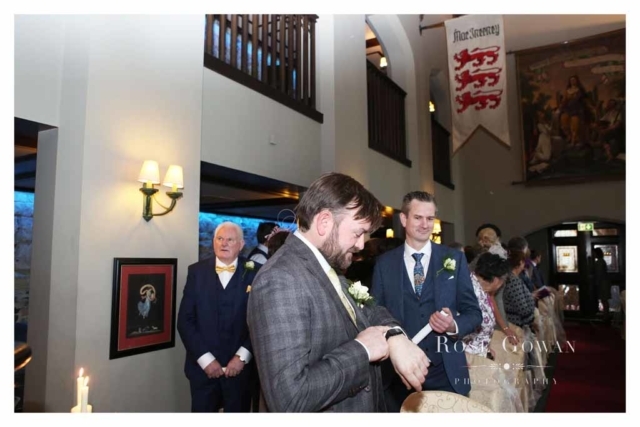 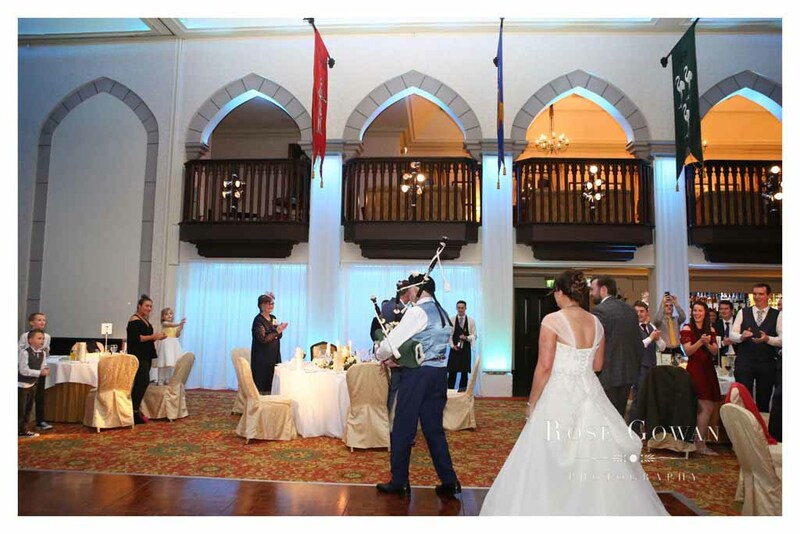 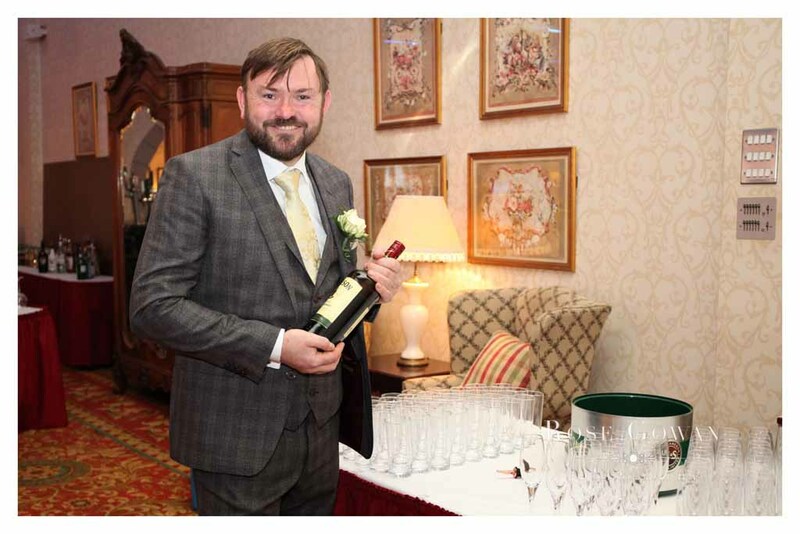 After a beautiful civil ceremony, the Jameson drink reception was the perfect winter warmer to kick off the celebrations, followed by a bagpiper lead entrance to the reception room courtesy of their own inhouse bagpiper – Conor’s Dad. 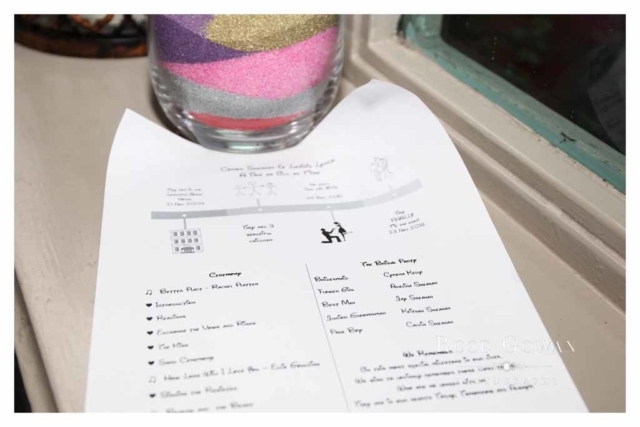 What a great way to continue the party. 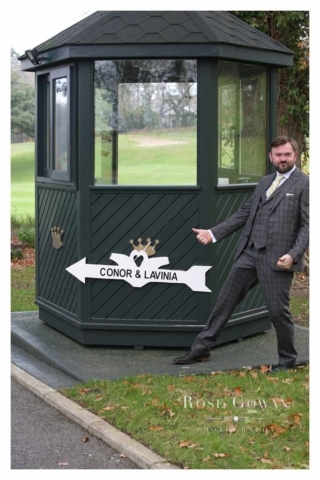 Super congrats Conor and Lavinia. 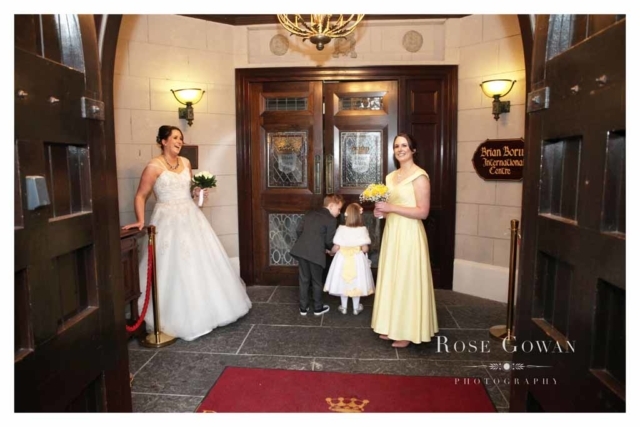 We had such great fun with ye and so “charmed” to be part of your day. 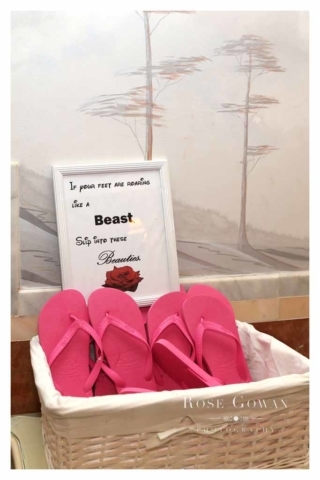 As all great Disney stories, this one is definitely “To be Continued”.